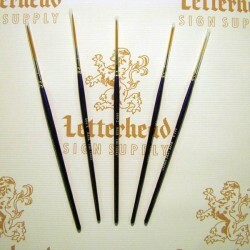 Buy Script Brushes for Sale here for hand lettering and pinstriping. 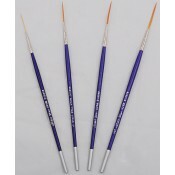 Buy these style brushes are excellent for fine lines, scroll work, fine lettering, display or showcard lettering, calligraphy, and the lettering of invitations. 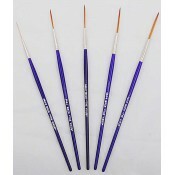 These brushes work great for working on ceramics and china painting. 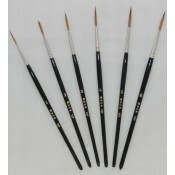 We sell script brushes, script-liner brushes, liner brushes, lining brushes and pinstripe script liners. 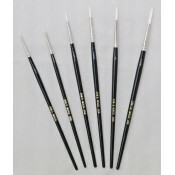 Other terms for these types of brushes are known as , Lettering script liner brushes, script brushes, outliner script brush, detail script brush, mack brush script liner and pinstripe script liner listed below.